In response to a Freedom of Information Act request filed by the Alliance for Green Heat, Hearth & Home Technologies (HHT) and Ravelli released actual efficiency numbers for several of their popular pellet stove models. Efficiencies ranged from 56% to 76%. Wood and pellet stoves certified after May 2015 must test for and disclose their efficiency to consumers, as required by new EPA regulations. Prior to these regulations, stove manufacturers claimed that any available efficiency data was confidential and they generally did not provide it to consumers. However, many companies provided the efficiency data to the EPA as part of the certification process. 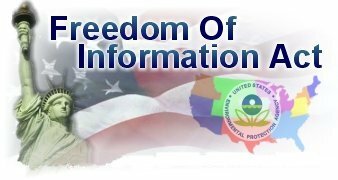 The Alliance for Green Heat, based on its legal counsel, argued that the EPA could not keep efficiency data it collected prior to May 2015 confidential because it was based on emission data, and emissions data cannot be confidential. In July 2015 the EPA declined to release the efficiencies to the Alliance, in keeping with its longstanding practice that they would keep all data confidential if it was submitted as Confidential Business Information (CBI). Originally, the Alliance had asked for the weighted average efficiency as well as the efficiency from each of the four burn rates that labs use to test stoves. The Alliance agreed to drop the request for the individual burn rate efficiencies and only request the average. Based on that change, HHT and Ravelli agreed to allow the EPA to release their efficiency numbers to the Alliance with some conditions. that efficiency was of such basic importance to consumers and that keeping it confidential served no useful purpose. That attempt was unsuccessful. The Alliance is not appealing. The five newly released actual efficiency numbers are not included on the EPA’s list of certified stoves, where about 25% of the stoves have actual efficiencies listed. Except for one of the Ravelli’s, these five stoves all have around average or above average efficiencies. 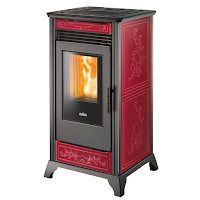 The Ravelli RV80 was only 56% efficient, but Ravelli has a updated version of this stove, the RV80 Ceramica, that has much lower grams per hour. (In response to this post, the EPA found that they had mistakenly omitted posting the efficiency of the RV80 Ceramica and said they would post it soon.) Virtually all stoves claim to be 75% efficient to be eligible for the $300 federal tax credit, and EPA listing or disclosure that reveals the stove is not even 60% efficient does not appear to deter manufacturers from continuing to claim eligibility for the tax credit. Note: A representative of Ravelli replied to this blog saying that the RV80 is now out of production. The Ravelli representative said that the updated RV80 Ceramica has an efficiency "over 75%." We asked Ravelli to support the "over 75%" figure with a lab report. EPA regulations require companies to post lab report on their website for any stove tested under the 2015 NSPS. Some companies comply, and others resist this level of transparency.